HubSpot's Help Center already covers a lot of information on how to set up search and how it works so, instead of reinventing the wheel, I'll link to some helpful resources and jump straight into how to customise it below. Other FAQs: how they order search results, how to customise the search results URL... etc. You can name it something like "Site Search Input With Button". Where it says "Search" in between the two button tags (I've highlighted it in bold above), you can add any other word(s), images, Font Awesome icons or any other element. With CSS the styling possibilities are endless but I'll give some quick sample CSS below that should work for most of you. Paste it into the bottom of the CSS block on your module and customise as needed. Unfortunately I can't guarantee the exact results of this styling as it very much depends on your website's existing style but you can always comment below or get in touch if you need help. The answer is yes, there is indeed! 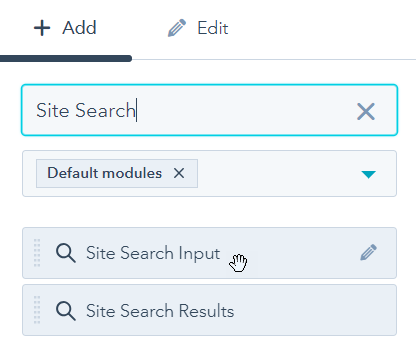 If you haven't already, create a clone of the default Site Search Input module. I've added instructions above on how you can do this. This creates a list called "items" which adds the first line with the "Results for" and additional lines for each of the suggested results, as highlighted in blue above. The link we have set is /hs-search-results?term= which will work if the default Site Search Results page URL hasn't been change in your settings. If you go to your Settings > Web Pages > System Pages you'll see an box that says "Search results page URL". If this does not say "hs-search-results", replace "hs-search-results" above with your custom page URL. 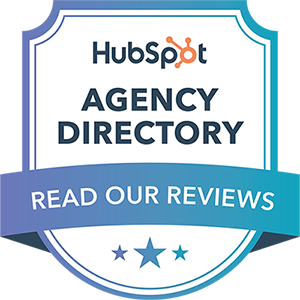 Those are some of the ways in which you can customise HubSpot's Site Search functionality, to which I hope to continue to add more. If you have any questions or ideas on other customisations, add the in the comments below!